Hello everyone! 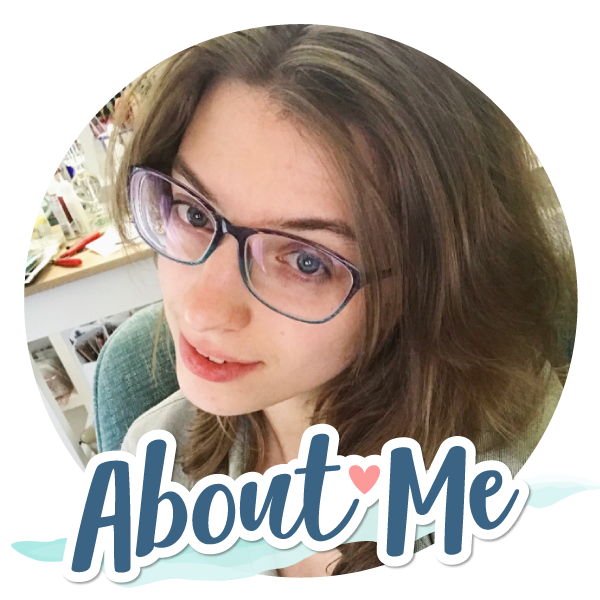 I am so excited you’ve joined me today, as I am guesting in the Studio Katia 2nd Birthday Blog Hop! Have you been hopping along? If you have, you should have arrived from Ilda Dias’s blog. For my card, I used the adorable Kobi Bearing Gifts stamp set (that bear is so cute! ), along with the Birthday Greetings sentiments. There is also a new die called Scallop Window (super fun and interactive!) and Bubbles stencil. I used all of these to make this colorful, hidden-sentiment-reveal card. At first you see the cute panel with gifts peeking out of it; everything is surrounded by pretty, Satin Rainbow Confetti sequins. The fun part is when you lift the flap of the window! It reveals the remaining part of the sentiment AND the bear that is holding that stack of gifts! Besides the Rainbow Confetti sequins, I also used the Crystal Stars in the background, plus Studio Katia’s Chunky Confetti glitter on the balloon. 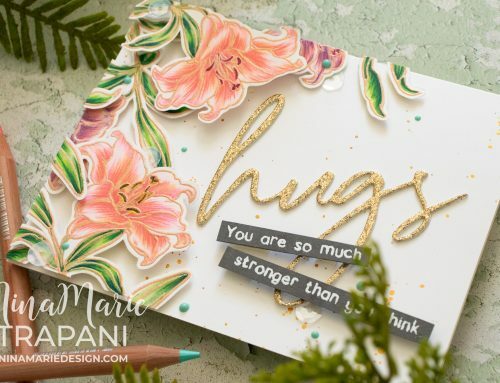 This card is bursting with sparkle! To complement the card, I decorated a Simon Says Stamp white envelope with a bit of ink blending using the Bubbles stencil. Those bubbles reminded me of giant balloons or confetti! 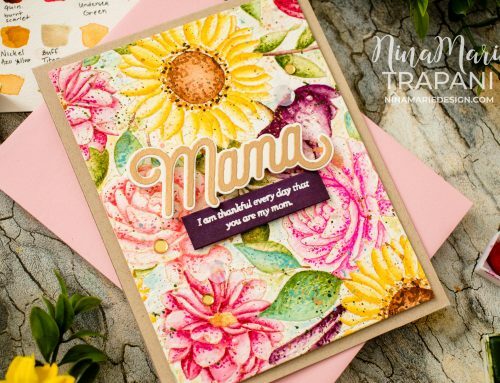 I hope you will watch the video at the top of this post to see how I created this entire card and envelope! Be sure to keep on reading for details on the supplies used and the Studio Katia 2nd Birthday Blog Hop! Thanks for visiting me today; I will see you again very soon! Don’t forget about the giveaways! 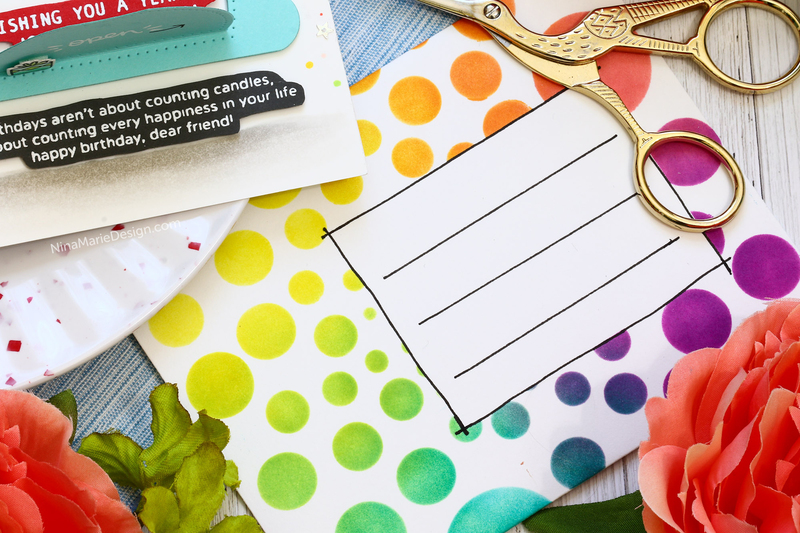 Studio Katia is giving away TWO $100 Gift Certificates every day of the Blog Hop! Winners will be chosen randomly from comments left on ALL blogs of the hop and announced on Sunday, June 3rd, 2018 on the Studio Katia Blog. 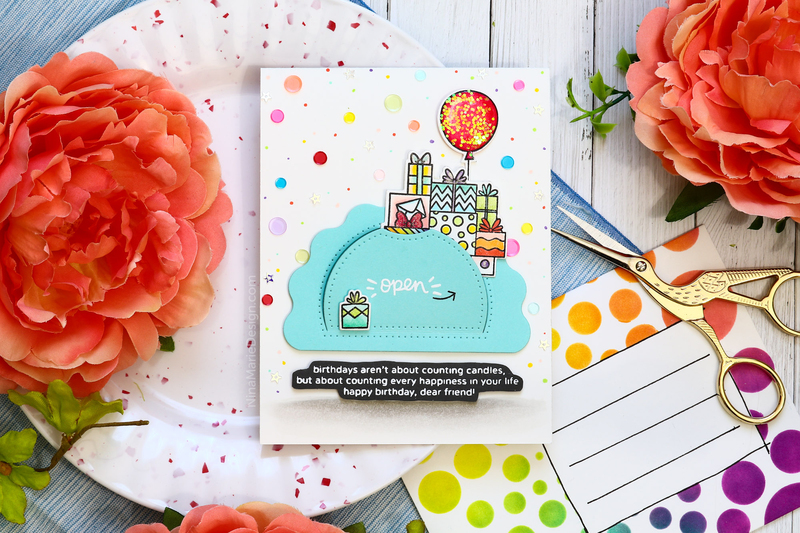 There is lots more inspiration to see in this fun-filled blog hop! Your next stop is Rosali Bartz’s blog. You can find the entire hop order below. 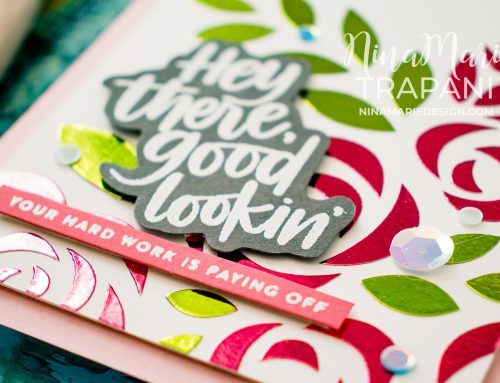 Nina Marie Trapani – you are here! This card is so much fun with the surprise element. Thanks for sharing the technique video. So sweet!!! Love the colors! TFS! Fabulous interactive card! Love the design! Love this fun card with the hidden sentiment. So cute! Such a fun card and I love the interactive elements of it. The envelope is so perfect as well! Great job! Awesome card! :) I love seeing interactive cards. Super cute card! I love cards like that! 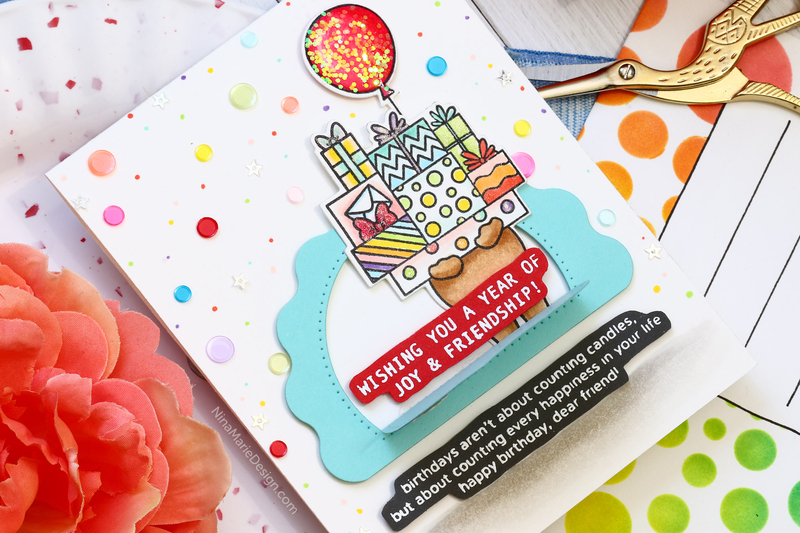 How clever you are to use the scallop die with the “birthday” boy stamp set! And I love how you used it, it is so cute with part of him hidden. What a fun and whimsical card for a birthday celebration! A great idea! Thank you for sharing and the complimentary envelope is so fun! I am looking forward to watching your video later on to see how you put it all together. Thanks! How cute is this! Love that you had the bear standing inside the flap. This is one of my favorites I’ve seen so far in the blog hop :D Thanks for sharing! 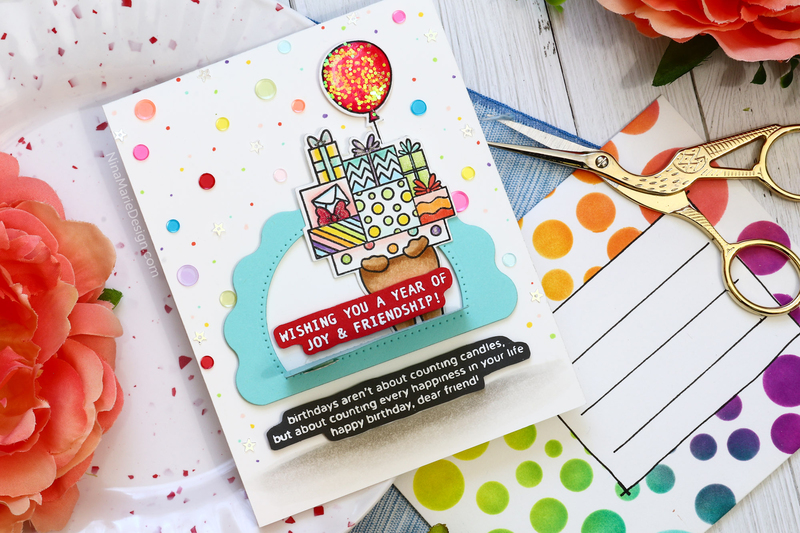 What a fun and cheerful card, than you!